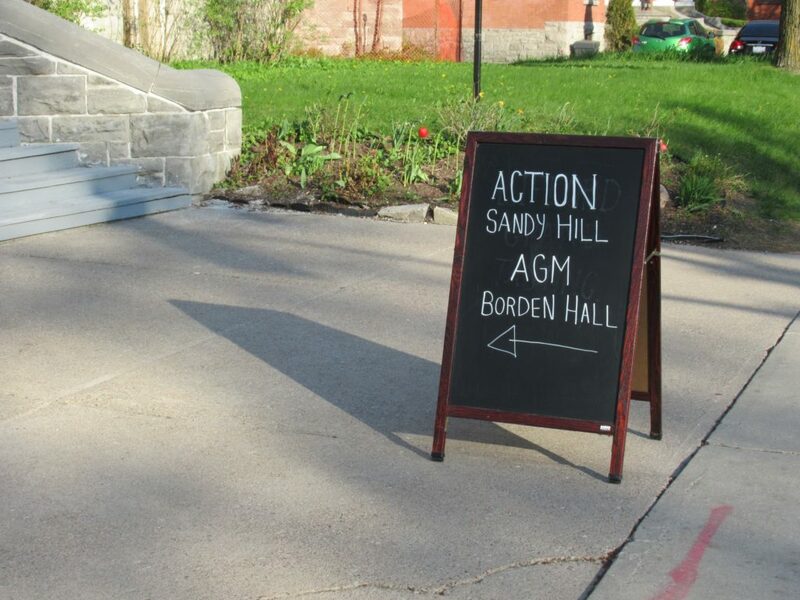 The May 16 annual meeting of Sandy Hill’s venerable community association looked and felt different this year but it is clear the organization still lives up to its name – action on neighbourhood issues continues to be what it is all about. After four years at the helm, Chad Rollins stepped down as ASH president, although he stays on as a director. During his watch, he notes, Sandy Hill was transformed, the “condo canyon” on Rideau St. came to be, and more random bunkhouses took root. But “the war is far from over!”, says Chad. He refutes any suggestion ours is a NIMBY (not-in-my-backyard) neighbourhood, because people here actually accept the presence of pretty much every form of housing and resident. Instead, he counters, we are a BIMBY (beauty-in-my-backyard) neighbourhood – concerned and engaged when it comes to aesthetics and shared spaces. Outgoing president Chad Rollins has seen his share of planning and property standard struggles, plus many vibrant community events. Susan Young, who lives on Chapel Street, is the new ASH president, signing on for a two-year term. 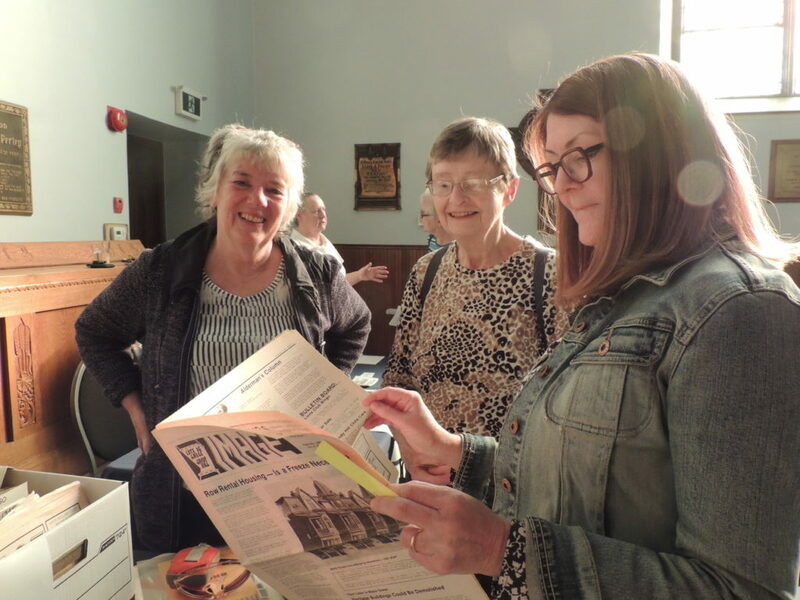 We have already seen more trees, less pavement, better access to Rideau River pathways, prettier container gardens along streets, and more editions of the One & Only Arts and Crafts Fair, thanks to Susan and her network. Husband Éric Audet was ASH secretary for two years – there will be no surprises at home when her phone buzzes continually. As president, Susan promises she will be glad to jump in when there is a battle brewing. Trina Cooper-Bolam, continuing as the ASH director steering Urban Planning and Heritage issues, also speaks of struggles, needs, goals and priorities. She challenges us to “manage the big picture” of urban intensification on our streets, addressing the attrition of green spaces, housing stock, diversity, privacy and heritage values. The militant language results, of course, from the notorious spread of bunkhouse developments in Sandy Hill over the past decade, a phenomenon familiar to all readers of IMAGE. Councillor Mathieu Fleury presented his take on the related R4 zoning review, which is at last a city priority. The need to apply R4 city-wide, and the lack of clear definitions of rooming house and bedroom, are making things tricky. While a 16-room limit (four units with four rooms each) is being proposed, he favours a 10-room limit for new builds. 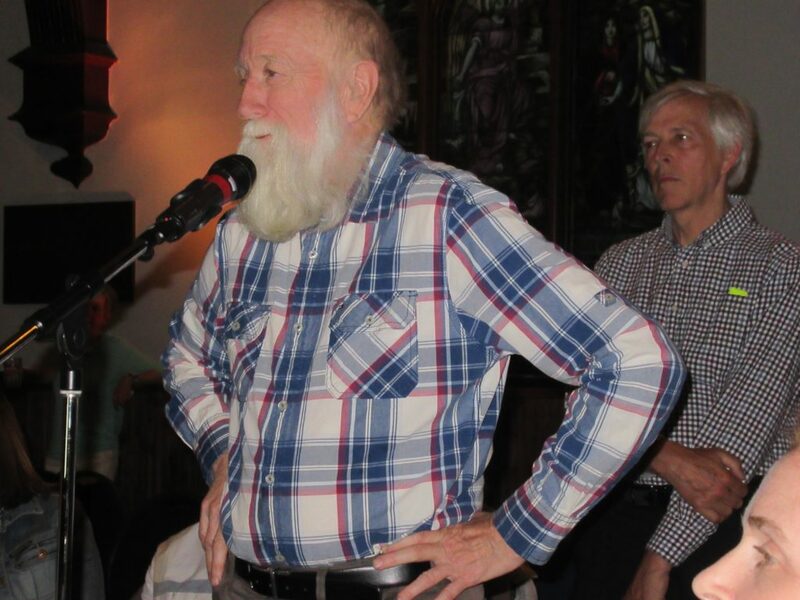 Fleury also addressed troublesome issues of vacant heritage properties, garbage enclosures, benches on Besserer near King Edward, traffic calming, and student move-out week, and he encouraged residents to call 3-1-1 to report noise, security, and property-related incidents, and to contact his office when clarification of policy or procedure is needed. Jane Waterston, Jan Meldrum, and Claire MacDonald. To Eiko Emori’s query about a proposed speed reduction (to 40 kph) throughout Sandy Hill, Fleury said City staff is prepared to implement the change but there is a hold-up at the provincial level. 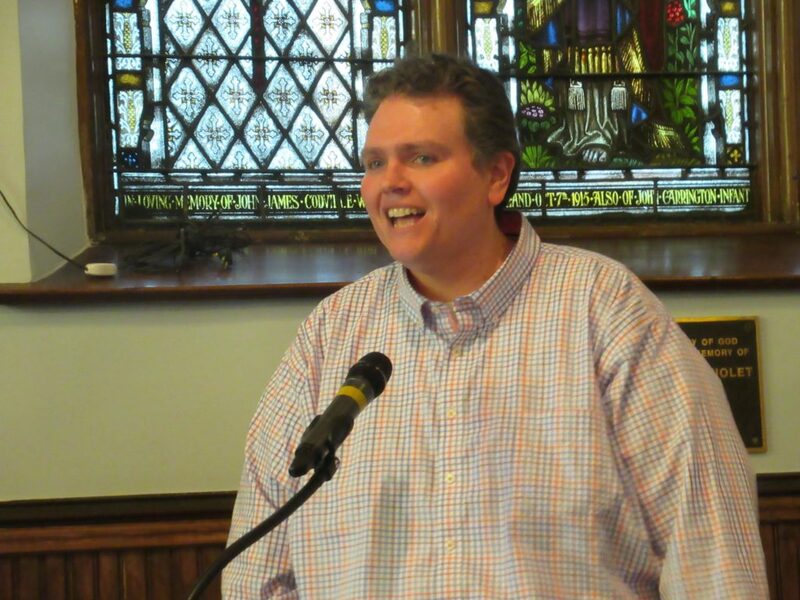 The Councillor was the only elected official who took the podium at the annual meeting. 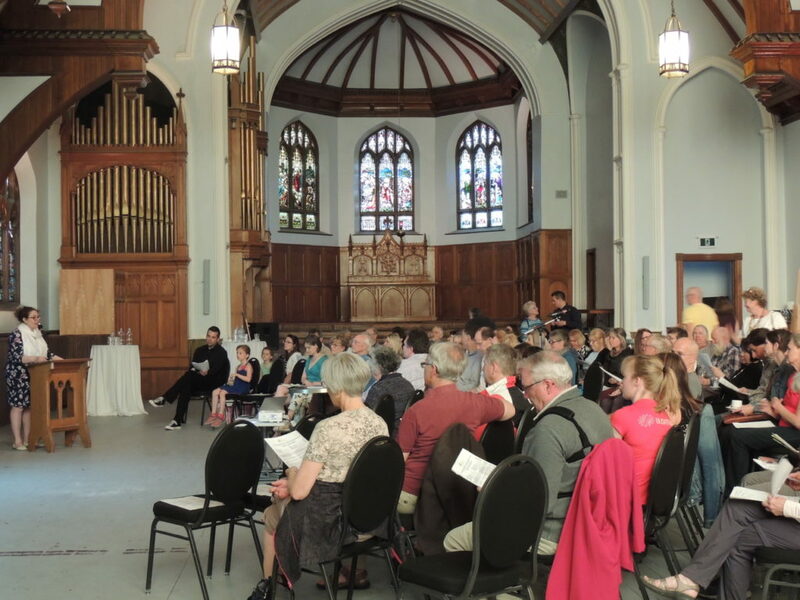 The provincial election guidelines for candidates prevented Nathalie Des Rosiers from doing more than dropping by, and MP Mona Fortier was in Edmonton. Similarly, there were no presentations from the Community Health Centre or the usual City services like Police or Bylaw. This allowed time for a full slate of reports from directors and various community partners. They brought good news – charitable status for Prime Ministers’ Row, a history website, 30 block captains keeping information and feedback flowing, a new bylaw officer keeping an eye on 300 problem addresses, a retro gazebo in the works for Strathcona Park, and 14 vendors already signed up for this year’s November One & Only craft sale. 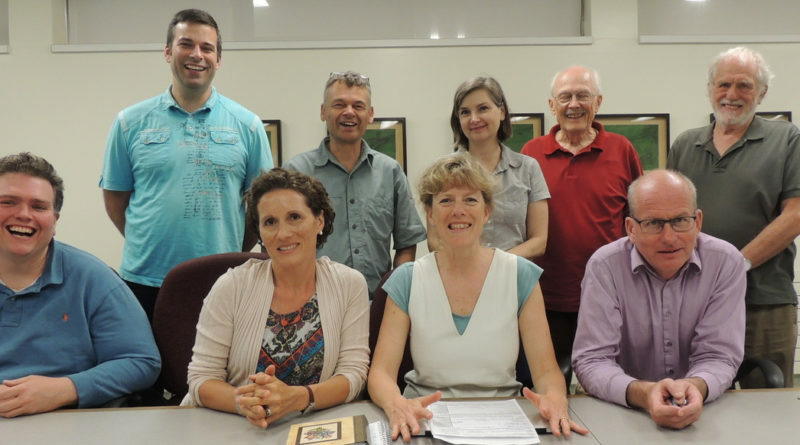 At the end of 2017, Action Sandy Hill had 278 members and $16,000 in its chequing account, plus $42,500 in a “Homestead” account earmarked for improvements to Strathcona Park (the gazebo), and $3,200 in a “Save Sandy Hill” account. The ice rink brought in $900 (net), and the craft fair $1,600. A new projector was purchased and funds provided for the winter carnival, Canada Day picnic, garage sale, Halloween party, and various meetings. Members were asked to encourage their neighbours to join ASH (it’s easy to do at the website) and consider helping out with committees and campaigns. Many blocks are still without a representative. The Town and Gown committee would really benefit from having more University of Ottawa professors (with homes in Sandy Hill) at its table. Ideas for ASH’s 50th anniversary – coming next year – are wanted. 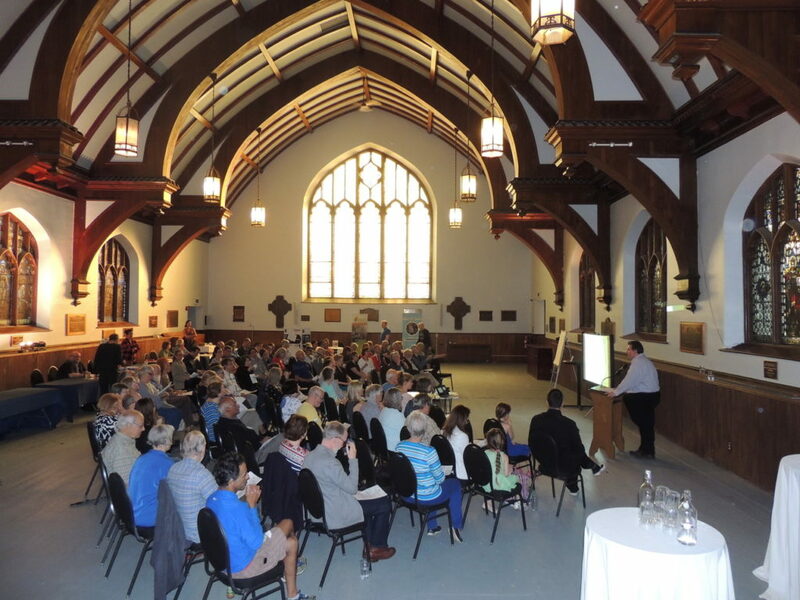 The meeting was convened at allsaints’ Borden Hall, where there are no fluorescent lights, and chairs were set up in a horseshoe configuration – both factors considered an advantage by the more than 90 people in attendance. ← New at Laurier House: Cartoons!